Two years ago this week Liverpool chairman Martin Broughton negotiated the protracted sale of Liverpool Football Club to the owners of Boston Red Sox; New England Sports Ventures, led by John W. Henry and Tom Werner. The new American owners won instant approval across the city for simply not being their predecessors – their national counterparts Tom Hicks and George Gillett, the most despised parasites on Merseyside since Kelvin MacKenzie. Two years down the line, can the re-branded Fenway Sports Group (FSG) be regarded as a success at Anfield? The tumultuous events that have engulfed England’s most decorated football club since October 2010 suggest that the owners’ tenure remains a work in progress. Though they are not on a par with the Abu Dhabi group that owns Manchester City, who possess both the resources and the aptitude, they far outstrip Venky’s, who have run Blackburn Rovers like headless chickens. An appraisal of their performance as owners can not be formed without a recognition of the mess that they inherited, most clearly represented in the immediate removal of mounds of acquisition debt heaped on the beleaguered club by the previous incumbents. Off-field boardroom chaos and alienation amongst the fan base was highlighted by the decision that summer to replace a Champions League winning manager with a man who had won nothing outside of Scandinavia. The extent of the on-field problems facing the club were laid bare by a woefully lacklustre performance during the 214th Merseyside Derby, the first which the new owners presided over and which then manager Roy Hodgson incredulously claimed to have been the best of his tortured reign. The owners waited almost three months to relieve Hodgson of his duties when it was plain for most to see that the current England coach was chronically out of his depth, illustrating the indecisiveness that has marred the club’s recent progress. Hodgson’s beleaguered tenure as manager is not the only demonstration of inertia from the Boston-based owners. 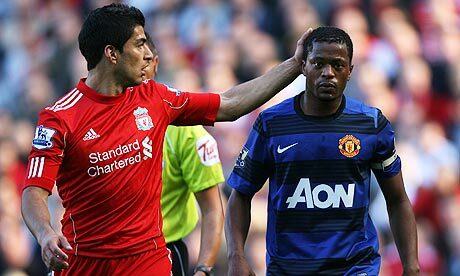 The Luis Suarez and Patrice Evra affair was particularly poorly handled by FSG, who were conspicuous by their vacuous anonymity throughout the entire process, leaving a club legend hopelessly exposed and isolated. The long drawn-out saga was compounded by a lack of senior authoritative figures based on Merseyside who could prevent the issue spiralling out of control in the way that it did. Kenny Dalglish’s image and reputation, untarnished amongst Merseysiders, was damaged across the country as FSG failed to act either decisively or responsibly. Their failure to properly support Dalglish aggravated the Scot’s second-reign as manager. Sure, Dalglish was well supported in the transfer market – the figure of £113 million was well publicised throughout the mainstream media, more so than the rather modest net spend of £40 million – but a top-four finish was then demanded by Henry. Liverpool and their batch of over-priced new arrivals proceeded to fall spectacularly short as their 2011-12 season nosedived from the turn of the year. 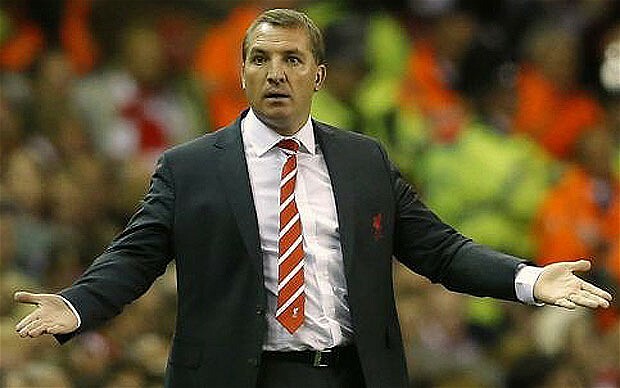 The shackles that now inhibit Brendan Rodgers’ spending ability are a direct consequence of Dalglish and former Director of Football, Damien Comolli’s, disastrous transfer-policy of 2011 – a policy that sought to build a side around the 6ft 3inch frame of record signing Andy Carroll, who never managed to string together three successive appearances. Comolli represents perhaps the most catastrophic acquisition of FSG’s 2-year stint on Merseyside – failing to find value in the market whilst pursuing a reckless yet unambitious ‘Buy British’ transfer policy. The club is now, however, undeniably in better shape under Rodgers in 2012 than it was under Hodgson in 2010. The austere times at Anfield represent not only the owners’ commitment to Financial Fair Play but also to a long-term stability, which can be provided by the vibrant youth setup currently in place – the calibre of players emerging from the Academy now, headed by Raheem Sterling, Suso and Andre Wisdom, are the brightest in a generation. FSG have proved themselves highly adept at improving Liverpool’s commercial fortunes, including the record-breaking partnership with kit-supplier ‘Warrior’, but it requires more than business nous to successfully run a football club; leadership and decisiveness are two ingredients which Liverpool’s owners have patently lacked. The on-going failure to appoint a CEO has influenced many of the club’s catastrophic failings – most damagingly in the Suarez-Evra affair and during the recent transfer window. Given the vast resources and its enormous global reach, FSG’s reign has so far seen the club punch well below its weight. The club has been in an almost permanent state of flux in the last two years and only now does it look as if stability is within reach thanks to a consistent footballing philosophy that is now in place. FSG appear to still be getting to grips with running a football club, though, and it has taken two years for them to issue a commitment to redeveloping Anfield, a saga which has undermined previous regimes at the club since the turn of the century. Though it is encouraging that progress in that area appears to finally be underway, the stadium saga has taken so many twists and turns that until work finally begins, the club and the residents of Anfield will remain in limbo. By not just redeveloping the stadium but regenerating the surrounding area FSG hope to raise over £100 million in annual match-day revenue, far surpassing the £41 million that was accrued in the 2010-11 season, bringing them closer to a level playing-field alongside their Premier League rivals whilst aiding their self-sufficient principles. 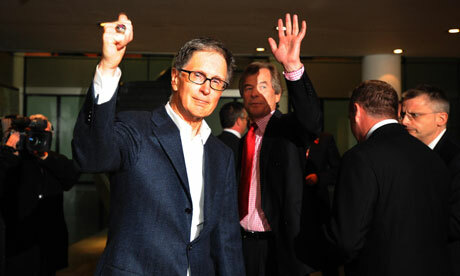 In avoiding the grandiose pledges that Gillett and Hicks churned out – most memorably the one that a spade would be in the ground within 60 days – FSG can not be accused of broken promises. But that should not ignore the fact that FSG have underwhelmed and underachieved in their first two years at Liverpool. The club remain as far from Champions League football as they were in 2010, but under Rodgers they are on the right trajectory, albeit a rather laborious one. A regime that has hitherto been concerned with cost-cutting and increasing commercial revenue must now seek to gain significant progress on the football field, where success is truly judged. This entry was posted in Analysis and opinion and tagged anfield, brendan rodgers, damien comolli, fsg, george gillett, john henry, kenny dalglish, liverpool, Roy Hodgson, tom hicks, tom werner by James Dutton. Bookmark the permalink. Underachieved is very fair comment on FSG. They failed on many fronts in their first two years as they struggled and still struggle with the running of a top world class football club. I blame them for not managing the Evra saga and then firing Kenny after only one year of his three year contract was just as bad. Nothing about that decision made sense and two cup finals in the first year was a much understated and underestimated achievement with a new squad. FSG dumped on a legend and hired instead an apprentice in BR. Only time will tell if this will work but mark my words, BR will not match Kenny’s first year. We will not win anything this year nor get to any finals and we will not finish higher than Kenny did last year. Conversely look at what Steve Clarke has done with WBA. They are where we would be if Kenny and Steve were still managing the club in my humble opinion. If we do finish lower than Kenny last year then I count this year as a resounding F grade to FSG. You cannot run a club via Skype. Thanks for the comment, Ian. Have to agree with you that, at the time, sacking Kenny did seem extremely harsh. Kenny did a fantastic job in uniting the club and bringing them back to a position where they were challenging for trophies, so soon after the malaise under H+G almost brought about administration. He doesn’t get enough credit, either, for turning the club’s fortunes around so soon after Hodgson. Liverpool were on course for a bottom half finish until the surge in the second half of that season. Ultimately though he’s being judged for his performance in the 2011-12 (be that fairly or unfairly) and it is alarming how far the league form plummeted in 2012. A big part of that was down to losing Lucas Leiva for almost half of the season, but at the same time Kenny had the opportunity to bring in new players during the January window but chose not to, when it was so obvious the team was a striker and central midfielder short. TBH it should not now matter whether Rodgers matches Kenny. Rodgers is his own man and has his own project. The fan-base, just like the board, has to accept that the 2012-13 season is year zero. Transitional seasons will never work if they are compared to what has come before. The football is a lot better than under Kenny, Liverpool keep the ball much better although defensively they are more open than they have been for a very long time. Forget the transfer-day debacle, Rodgers brought in some very fine players on a far stricter budget. And it’s a fair point about Steve Clarke, but judgement should be reserved until May. If managers were judged in October Phil Brown and Owen Coyle would be world beaters. It is also worth remembering that the owners did state at the time of Kenny’s appointment as permanent manager that, should the right long-term man become available, then he would make way for that appointment – Rodgers is the finest young coach in the country, he’ll get it right eventually. He not only needs time for his methods to translate through the squad, but time to adjust to how teams will set up against him, now that his style is no longer a revelation. It was noticeable against Stoke the other week how brainless Liverpool were against a team with a rigid game plan.